CNBLUE's 4th Japanese album ranks no 1 on Oricon Chart...! 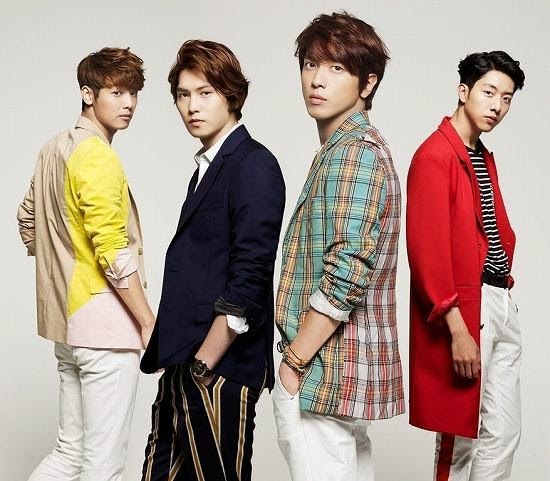 On September 18, CN Blue“s new Japanese album, “Wave“, ranked No. 1 on the Oricon daily chart in Japan after its release on the 17th. “Wave” is a self-composed album in which all the member participated in the process of writing and composing 11 tracks. The title track “Radio” was the work of lead vocalist Jung Yonghwa, who is currently starring in drama “The Three Musketeers”. The song has also been selected as the theme song of popular Japanese TV programs, like Music Launcher and Music BB . CN Blue’s Japanese album was released in four different versions, one comes with the music video for “Radio” and another with video footage of their fan meeting held earlier this year. The four members will kick off a Japanese tour titled “WAVE” on Oct. 29. The concerts will continue through December 4.